Pani Puri/ Golgappa is always known as India’s one of the most loved snacks. Being a mouth-watering snack for mere Rs 20 or Rs 10, there is no doubt in accepting this as a staple Indian street food. 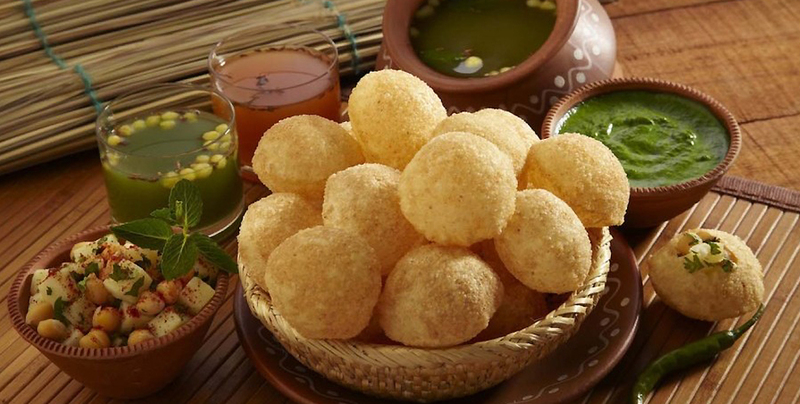 Well, there’s always a room for hitting a nearby Panipuri stall when we’re with friends, the taste and the unworldly feeling it could leave on our tongue being the primary reason, the price of this is definitely the another reason to lay our hands on. The crispy hollow balls with Rajma making it a whole with the soothing soup is all that could make our day. What could one do if the Golgappe’s cost has risen up to Rs 750 all of sudden? Wait? is that true? hmm. yes! Now, to everyone’s surprise, this food outlet in New Delhi is charging staggering Rs 750 for plate Pani Puri/ Golgappe, plate consists 4 pieces. The news went viral on social media soon after a local guy uploaded a video regarding the same. In the video, a local guy is seen enjoying 4 golgappas at such a monstrous price in Pullman New Delhi Aerocity and if you too wish to have a lifetime achievement, well, you can head straight to the place. 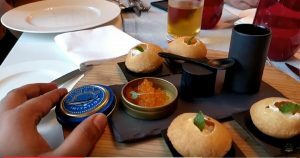 Meanwhile, that Caviar box in the above picture might leave you stunned, but, it doesn’t matter at all, as it was included just for the show-off. This deed is definitely a paisa vasool stunt played by the outlet staff. If we take a look at the below menu card, we can acknowledge the price of the Golgappe as Rs 600, however, with the inclusion of 18% being the GST it comes around Rs 708. Coming to the video, the guy is seen talking about the taste and price of this special Gol Gappe. He in the video mentioned that the price is Rs 750, which actually means he mentioned the approximate amount or the restaurant is charging 28% GST on the same.